All children from Junior Infants to Sixth Class get violin and music lessons from a qualified Suzuki teacher every week in Rolestown. Some children opt to join the school orchestra in 4th class. 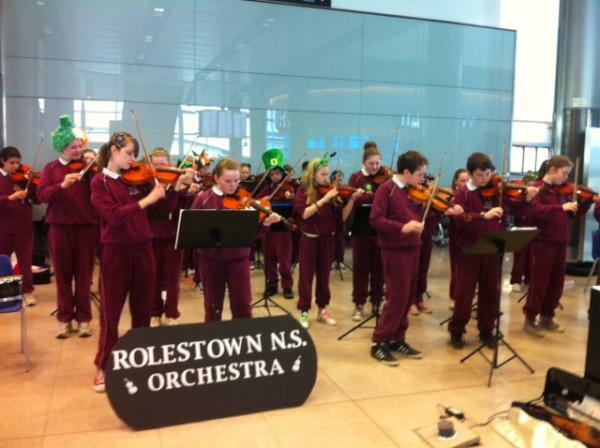 Our school orchestra will perform in Dublin Airport again this December.